I like to write my podcast notes when ideas come to me, regardless of which device I'm using at the moment. That's why I use iA Writer for Mac and iOS. Thanks to iCloud synchronization, I can start my notes on an iPad 3, add to them on my MacBook Pro, then read them off my iPad mini during the show recording. 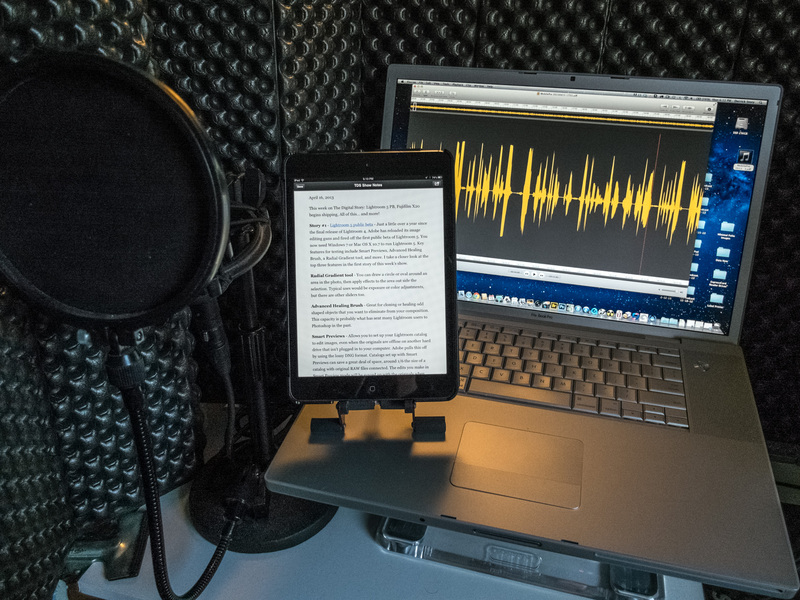 iPad mini displaying show notes for the TDS podcast in my recording studio. My biggest problem with this workflow had been finding a high-quality iPad mini stand that was light enough to set on my MacBook Pro 17" during recording, and adjustable enough to get just the right viewing angle. Fortunately, I discovered the the FrameShift Mini stand for the iPad mini and iPhone 5. Assembled by hand, using anodized aircraft grade aluminum with abrasion-resistant rubber padding and stainless steel hardware, the FrameShift Mini can be adjusted to just about any angle, then folds up for easy transport. It's just as handy in the studio as it is on a fold-out tray table while flying. 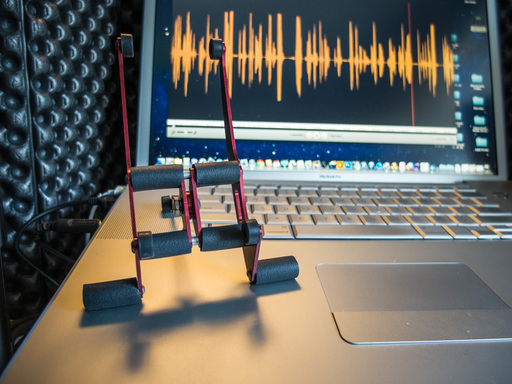 The FrameShift Mini that I use to position my iPad mini to help me in the recording studio. Of course, it's the iPad mini that pulls this all together. In addition to all of the other things it does so well, the mini is a terrific note-taking device, and my favorite PDF reference. I keep all of my owners' and technical manuals on the iPad. It's my own personal library availabe anywhere I happen to be.